Mice often enter homes during the cold winter months to seek shelter and food. Using traps is an effective way to get rid of them. If they die of natural causes or due to poison you set out, they usually crawl off to a secluded area to die. This makes it difficult or impossible to locate and discard the carcass. The musty odor can remain in your home for weeks. Commercial odor removers are available, but home remedies are inexpensive and just as effective in getting rid of the odor. 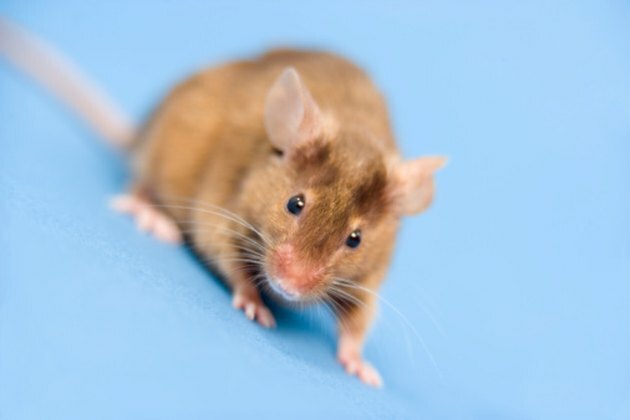 Mice are unsanitary and often gnaw on wiring and other materials. Make your own air freshener by putting a few drops of essential oil, such as peppermint or cinnamon onto a cotton ball. Drop it into a small plastic container, poke holes in the lid with scissors or an ice pick and put the lid onto the container. Place it in an out-of-the-way area and enjoy the fresh scent. Saturate a cleaning cloth with vanilla extract. Place this in an open container in the areas where the mouse odor is the worst. Set containers full of baking soda around your house or where the mouse odor is the strongest. The baking soda effectively absorbs the odor without attempting to disguise it. Pour white distilled vinegar into bowls or plastic containers. Place them throughout your home. Leave them out for a few hours or even overnight. The vinegar absorbs the odor. Once you remove the vinegar, the vinegar smell dissipates within 15 to 30 minutes, leaving the air smelling fresh. Pour cat box filler into an empty box and place it in the room where the odor is most evident. Close the door of the room and leave it overnight or for up to four days.